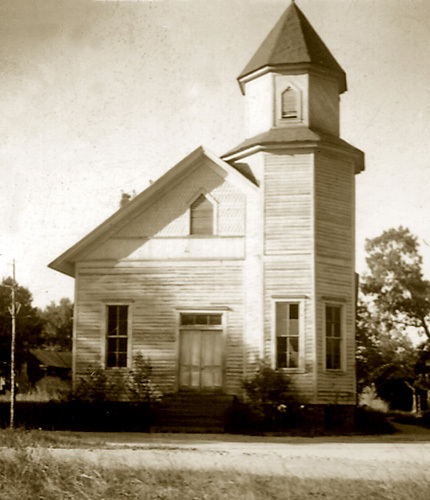 A church in Elmore County, ca. 1930s. From a collection of the Alabama Writers' Project, established in 1935 as part of the Federal Writers' Project, a New Deal employment program established during the Great Depression.